The train is one of the most popular modes of transport for travelling long distances within Russia. Thus if the train is familiar to anyone who often travels in such a way that a train ticket today may look different. 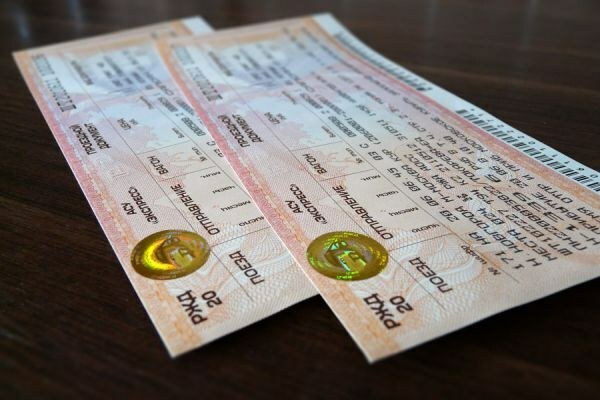 Ordinary ticket on the train, which can be purchased at the ticket office, not too changed their appearance in decades. It is traditionally printed on a special form, the color of which depending on the printing office where it was issued, can vary from pink to almost orange. In the upper left part of the form the inscription "Russian Railways 20' and then to the right of it is a holographic emblem with the image of the train, and the inscription "ACS "Express" and "Travel document". In the top right of the ticket is an identification number that is unique code specific travel document. "Cap", below, indicates what information is in the line under it. In particular, it indicates the train number, date and time of departure, number and type of the car. In addition, this line contains the cost of the ticket and reserved seat, which together amount to the total price payable and the number of passengers who can travel on this ticket and fare type. The rest of the ticket contains additional information about the route and the owner of the ticket: departure station and arrival space, the name and surname of the passenger, the total cost and the services included in it. The last line of the ticket indicates what time the arrival and departure of trains; in Russia most often used Moscow time. Russian Railways strive to meet the requirements of the time, so today on virtually any domestic or international train, you can buy electronic ticket directly on the website http://rzd.ru/, paying by credit card. After selection and payment of the required route to the passenger's personal account on the website will appear in the form of the purchased ticket. It is a form of A4 size, in the upper part of which contains the words "Electronic ticket number", below which is duplicated in English, as well as the actual number of this ticket. The following is the same information that contains the standard travel document, but they are grouped in a slightly different order. So, basic data about the route is given in the table that is directly below the ticket number and additional, such as the carrier name, date of ticket issuance and other under the table. The key point that you should pay attention to when using the electronic travel document - line "Status of the electronic ticket", located directly under the table with the basic data about the trip. In case, if there is a mark "Passed the electronic registration, you can go to the landing with a printout of the ticket and passport. If such string in this place there, you must first contact with the printout to the ticket office to get the standard document. To buy a plane ticket without leaving your home, today is not a problem for those who have at hand the computer connected to the Internet. The advantages of such a purchase are obvious – you can choose the most convenient itinerary to save on the cost of tickets and, most importantly, save your precious time, get your hands on the e-ticket immediately after payment of the flight. Book your ticket on any website that sell tickets on-line. You can save money, learn the schedule of flights from your airport and go directly to the website of the company-carrier, which carries your chosen flights. Read the terms and conditions of payment which are stated as a separate item. They allow you to choose the most suitable option of the many we offer. To pay you can either in cash or by transfer from a Bank card or e-wallet. If you select the option to pay cash, then book your ticket you will have to pay during the day. For this purpose, as a rule, you can use the popular network of payment terminals or contact in the salons of communication. Only after payment and confirmation, specified in the booking e-mail will receive a file containing your ticket. In the event that when you pay for the cost of the ticket, transferring money from the electronic purse or Bank cards, in just a few minutes you will receive a confirmation of the fact of payment and file with the electronic ticket on your e-mail. Usually, e-ticket comes as an attachment to the message and the file is ready for printing, format it *.pdf. If your computer is connected to the printer, then turn it on, open the file to view and click "Print". If the printer you have, the file with the e-ticket save on flash media and print it from friends who have a computer and printer or at any photo salon. You only need one copy of the ticket. You will submit prior to departure together with passport at check-in for your flight at the airport. You may not even be required since all data is already available in the database of the airline, but just in case you need to have the document proving your right to fly and keep it until landing in the finite destination. 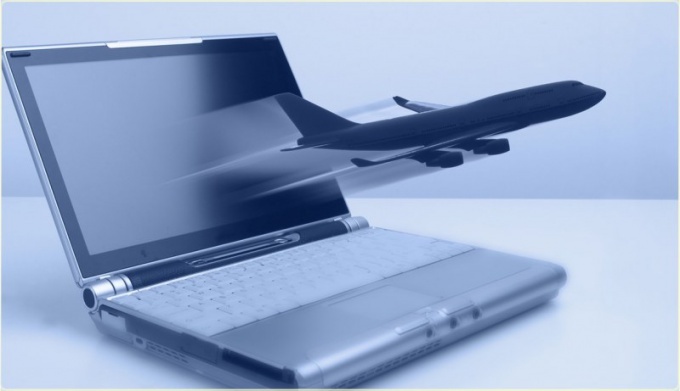 The electronic ticket for any flight can be booked independently on the website of the airline. This procedure does not take much time and allows you to avoid costs associated with booking the ticket through intermediaries or in the office of the airline. Select the airline you want to use. Enter search her name and go to the official website. 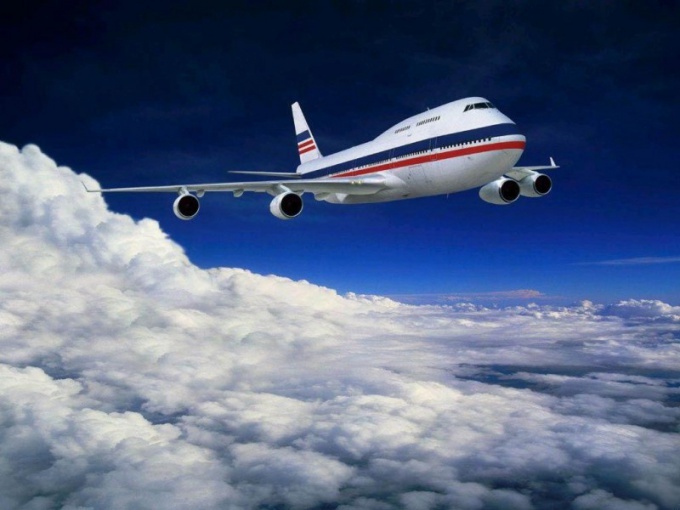 Find online airline online ticket booking. Search seats on your desired flight. To do this, enter in the appropriate fields airport of departure, airport of arrival, date (and date of return flight, if you buy a return ticket) and the number of passengers you are going to buy a ticket. Please note that children up to two years, the ticket is not issued, but point of the baby is necessary, data about the child will be included in the electronic itinerary / receipt, without it, the flight will not register. Select a convenient flight. Please note that the company write the price of the ticket in different ways: some just show the price with fuel surcharge, while others add it at the payment stage. Proceed to ticketing, the system may ask you to register or buy tickets as a guest. Enter the names of the passengers and their passport details, addresses, telephone numbers and email address that will be used to confirm the reservation and payment. Select the method of payment of tickets. Airlines allow you to pay for the ticket by credit card, payment terminals (e.g. QIWI), electronic payment systems (WebMoney or Yandex.Money) or shops (Euroset or Svyaznoy). Remember that reservations can be made for a period of three hours to three days - if within the specified period, the payment is not made, the reservation will be charged. When paying by card, enter her details in the appropriate fields. The system prompts you to specify the security code is printed on the map on the reverse side, or enter the code word from the picture. When paying in shops or from the terminal, enter the reservation number. Believe me e-mail, you will receive an email with an electronic ticket or itinerary / receipt. Print the document, show it to airport staff at check-in. Boarding pass is a document by which a passenger aircraft may take on Board. Without the boarding pass on the plane no one is allowed. This is usually a standard rectangular piece of paper with rounded corners, but the recent widespread electronic boarding passes printed. In the General case, a boarding pass or boarding pass, looks like a rectangle of heavy paper, size is approximately 20 x 8 cm the Form is divided into two parts, the left slightly larger than right. Employees of the airport during the landing off the left part of the boarding pass and the right to leave the passenger. On the boarding pass contains all necessary flight information: airline name, airports of departure and arrival, direction of flight, time of departure, passenger name, seat number and class of service. Also on the boarding pass there is a strip of bar-code that reads a special device – scanner for authentication blank. Boarding passes can differ in design, as many airlines seek to put their merchandise and logos. Sometimes on the other side of the boarding pass advertisements. If the airline does not care about the special style for his stamp, then the form will be provided to the trappings of the corporate style of the airport or it will be a simple sheet of paper without any logos and decorations. There are also e-boarding passes. When the airline is seeking to save on service of passengers to make the plane ticket as possible cheap, she sometimes refuses the issuance of a standard boarding pass. It is often found in low-cost airlines. European budget airlines are asking passengers to themselves to print out their boarding passes that they receive with the purchase of tickets via the Internet, and the Asian be able to issue a boarding pass instead of something like a receipt from the supermarket. Whatever your boarding pass, it still needs to present all the information about the flight and the passenger. 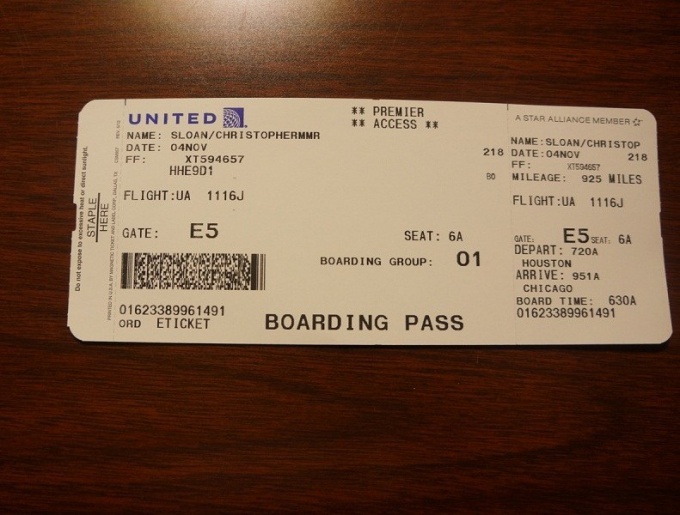 There is another type of boarding pass – e -. It need to print at the airport. The company sends e-mail the passenger a message that specifies a coupon code. Or you need to attach the code to the scanner device, or print it in advance at the front Desk. If you are not clear how to obtain a boarding pass (these forms do sometimes quite exotic), then follow the instructions from the airline and feel free to further Refine all the exciting moments at the airport staff. The usual procedure of obtaining the boarding pass as follows. You stand in a queue at reception on the flight (if you're lucky, you even will not), then a staff member checks data from your passport to your program, and then issues you a boarding pass on hand. You can register in counters self check-in, they are available in many major airports. This is possible only if your passport is biometric. Standard biometrics of the Russian passport is somewhat different from the usual, so sometimes the document is not read. This is not a reason to worry, just get a ticket in a General manner at the reception. Don't lose your boarding pass. If you got it at the airport, and not printed from the computer, recover the lost document is no longer possible. Before you sit on the plane, need to check-in and security control. If your flight is international, then added another passport control and customs inspection. It usually is not difficult, but it can take a lot of time. - printout of the itinerary receipt. Before you leave home, prepare the itinerary. It is not necessary to take with you on domestic flights, but still better to have this paper at itself as it may need to access the airport. On international flights, a printed itinerary receipt is required. At passport control abroad itinerary for the return trip can be one of the grounds in order to supply you the entry stamp (in the absence of printing can refuse entry). To the airport it is better to arrive a little in advance, especially if you have not flown the aircraft or the terminal building you are unfamiliar with. 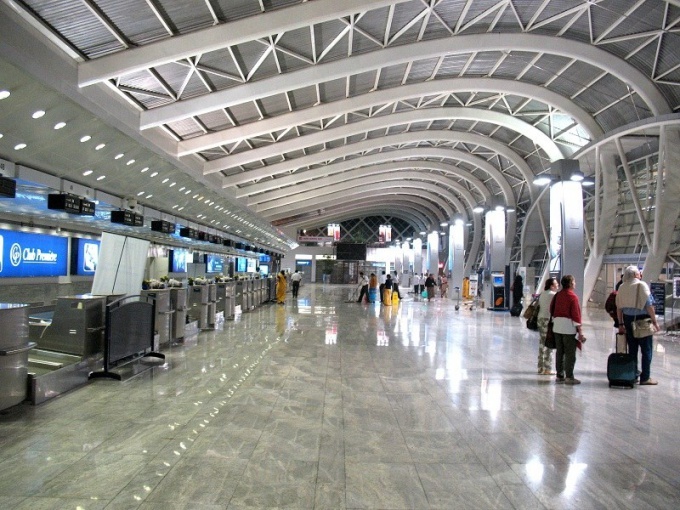 Check-in usually starts 3 hours before departure of the aircraft. It usually ends in 30 or 40 minutes, but it can prolong it. If you do not have time to check, you can try to contact the airline you're flying, sometimes it works to register after the end of the officially allotted time. If this is not possible, you need to contact the front Desk for late passengers. In Russian airports at the entrance always check Luggage scanner. You need to put your stuff on tape, pull out of the pockets of metal objects and keys and himself to go through the scanner. In foreign airports, the check-in is not always carried out. Going into the terminal building, look around in search of Bulletin Board. It will indicate if already started, check in for your flight, and if so, what racks it goes. All racks are numbered. If you are lost, refer to the rack with the information, it is indicated by the letter "i" and is always located near the entrance. Go to the front Desk. Give the employee the identity document, and a printout of the itinerary if it is necessary. In the case of special requests regarding your seat, report it immediately: you can choose the seat at the window or in the aisle. If you take things in the Luggage, put them on tape next to the reception. If the weight exceeds the maximum allowable rate, will need to pay. If everything is in order, your Luggage will promarkers, and you will be given a tag (usually a sticker) which you will be able to get your Luggage upon arrival. You will receive your boarding pass, it means that the check is passed. More will need to undergo additional checks: the inspection and passport control. The employee at the front Desk will tell you where to go next. Some airlines provide additional checks that take time. Usually they warn you in advance by e-mail. If the letter says that it is better to arrive 5 hours before departure – just do it. For example, a full inspection of Luggage, which sometimes is conducted on the flight from Russia to USA, sometimes just takes up to 5 hours. Electronic registration on the plane is already commonplace. But these little things give the opportunity to use modern achievements of science and make our life more convenient and comfortable. 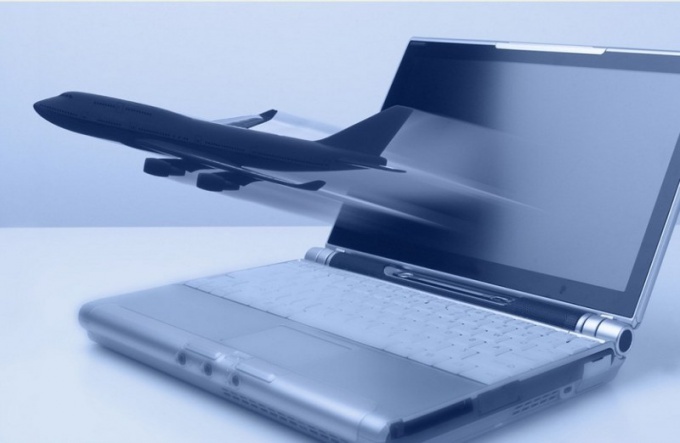 To buy an electronic ticket on a plane, you need to visit the website of the relevant airline and choose the flight. After payment of the ticket by e-mail and telephone number of the client will be sent full information about the flight. Then you will need to complete a special registration form on the website. To register on the plane easy. First, you need to enter a special reservation number (it is sent to email or phone client) and the name of the passenger. Then you need to specify the country of residence, citizenship and full passport details. You can then choose any location in the cabin. It is an advantage of online registration, as in case of usual registration is not available. Sometimes there are cases where the airline may substitute your place to another (for example, for reasons of aviation security). After completing the electronic registration must print your boarding card before boarding, you will need to present this card and passport of the passenger. The coupon is also available on mobile phone and present it when boarding from the screen of the device. In addition, some airports have the ability to print boarding pass at kiosks, if you forget to do it at home. But the e-check-plane has its own nuances. For example, the online registration cannot be held for passengers who are traveling with Pets, passengers carrying dangerous cargo or purchased tickets through a travel company and for group tickets (nine or more persons). E-registration starts in about 24 hours, and closes 1-2 hours before departure of the aircraft. If passengers have any Luggage, you will have to register at the front of the baggage drop. In some countries that require a visa, you will need to stand in line to go through the procedure of checking it. The electronic registration has its benefits. First – sign up for flight from the comfort of home. At the airport you only need to show your boarding pass which is sent to the specified registration e-mail or phone. You can also change any flight details without having to drive to the airport or a travel Agency. And finally, check online free while at the airport may be asked to pay money for it.